Numerous scientific studies document that people who eat the most fruits and vegetables have a lower incidence of health problems. Few people, however, consistently eat enough plant food to provide vital phyto-protection against common age-related decline. 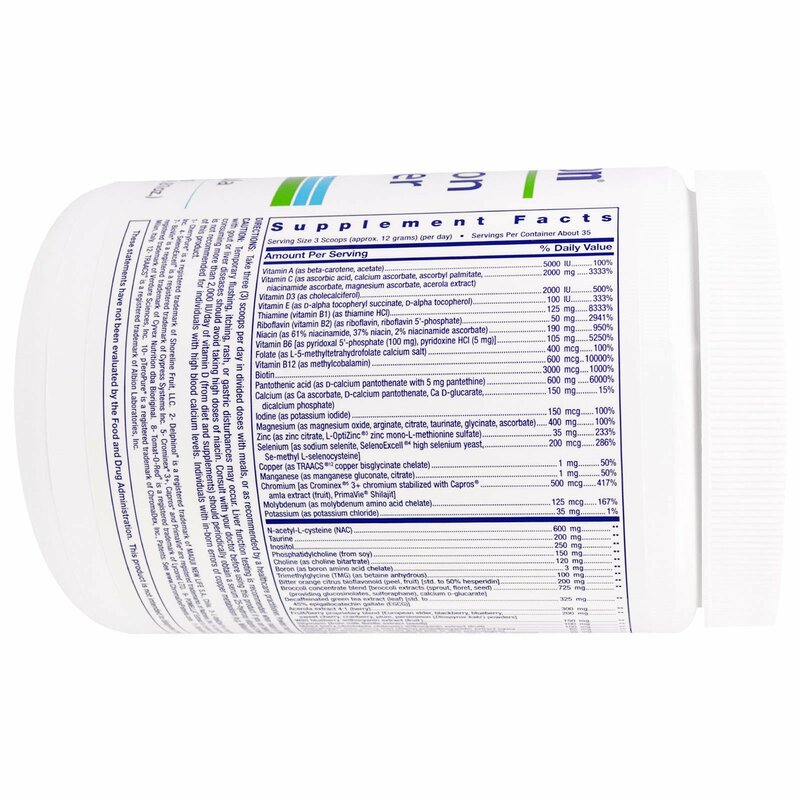 Commercial multivitamins do not contain all of the vital plant components needed to maintain good health. 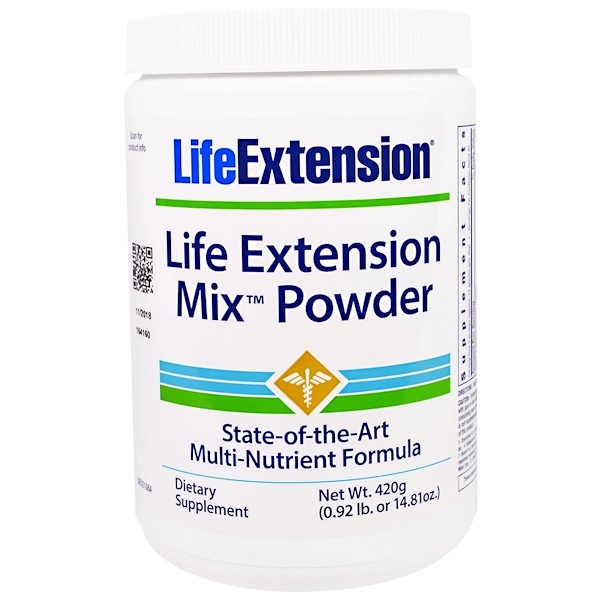 Life Extension Mix is vastly superior to other multivitamins on the market today—partly because it provides a remarkably broad array of fruit and vegetable extracts. Packed into this blend are extracts of fruits ranging from grape and maqui to bilberry and tart cherry. Its standardized vegetable extracts range from broccoli to artichoke. All with known health benefits throughout the body. Rounding out the superiority of Life Extension Mix is its extensive list of water- and fat-soluble vitamins, minerals, amino acids. Life Extension Mix provides enzymatically-active forms of B vitamins like pyridoxal-5-phosphate that provide immediate antiglycation benefits. 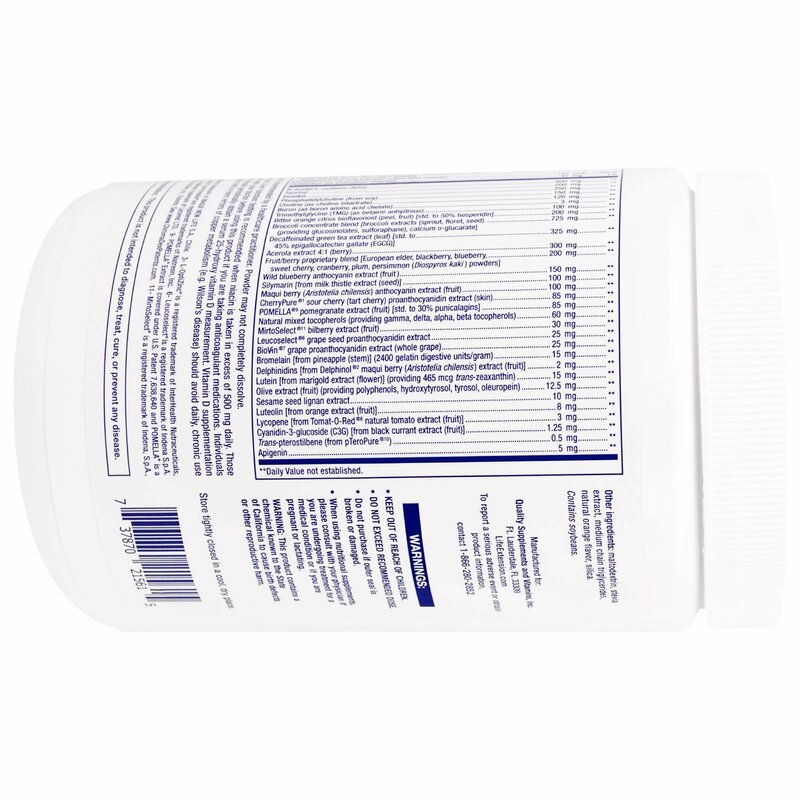 This formula is the only multivitamin to contain 5-methyltetrahydrofolate (5-MTHF), the active form of folate that is more bioavailable than folic acid. This greater bioavailability is especially important in people who have a genetic deficiency since it requires no conversion to become metabolically active. Maltodextrin, stevia extract, medium chain triglycerides, natural orange flavor, silica. Caution: Temporary flushing, itching, rash or gastric disturbances may occur. Liver function testing is recommended when niacin is taken in excess of 500 mg daily. Those with gout or liver diseases should avoid taking high doses of niacin. Consult with your doctor before using this product if you are taking anticoagulant medications. Individuals consuming more than 2,000 IU/day of vitamin D (from diet and supplements) should periodically obtain a serum 25-hydroxy vitamin D measurement. Vitamin D supplementation is not recommended for individuals with high blood calcium levels. Individuals with in-born errors of copper metabolism (e.g. Wilson’s disease) should avoid daily, chronic use of this product.